Define personal space, yet encourage interaction with Alloy Benching. Alloy benching bridges the gap between offices and open plan by balancing personal space and the need to interact. 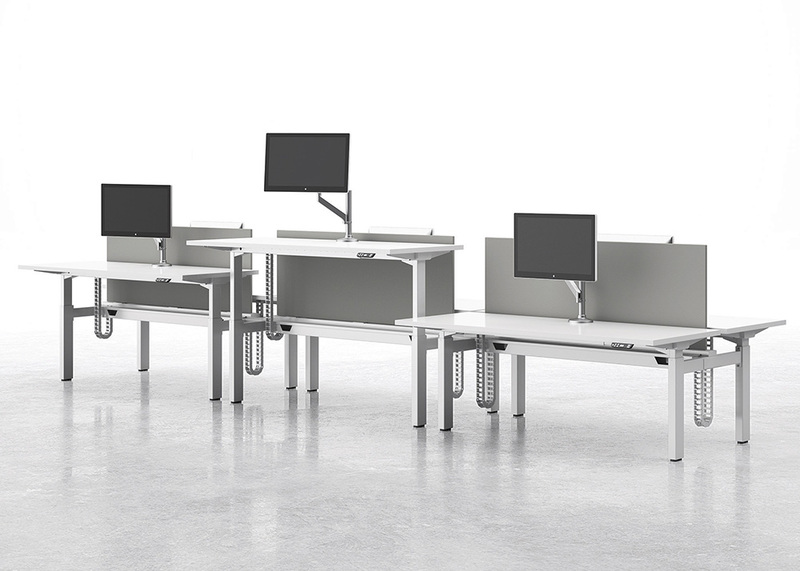 This lighter scale benching series offers options to meet the demands for seated and standing height workspaces.